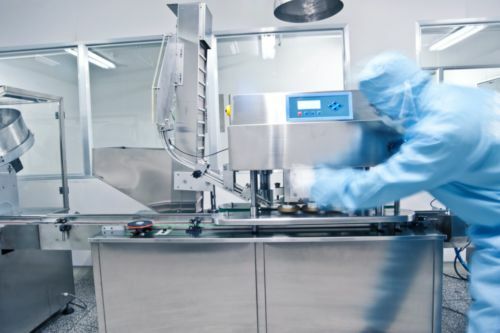 The production of sterile drugs requires adoption of very stringent measures to avoid contamination both of the working environment and of the final product itself. The traditional approach to sterile production makes use of the so called “clean rooms”, segregated rooms with various levels of protection against bacteria, viruses and other microorganisms that might be present or imported from the outside. The protective measures and the entire architecture of the clean room need to be validated in order to demonstrate that, indeed, contamination has been excluded. One of the main critical points is the management of the air present inside the clean room; it comes from HVAC systems, those filters need to be challenged and validated against their capacity to block the entrance of microorganisms. «The external air is purified using HEPA filters, humidity containment systems and pre- and post-eating batteries», says Andrea Pranti, QA manager of Novartis Vaccines. Regulatory guidelines provide the acceptable levels of vital and non-vital particle contamination for the clean room. HVAC systems should be able to reduce by 99,997% the amount of particles with diameter larger than 0,3 micrometers. This limit should be theoretically enough to exclude bacteria, fungi and yeasts from inside the room. «The new version of Annex 15to the GMP has introduced the request for a rational explanation of the choice of critical points to be challenged, as well as the choice of the methodology used for data elaboration, for example Fmea or Hccp», adds Pranti. Another point of attention should be placed in the choice of the number of points to be challenged, especially for critical operations such as, for example, the sterile filling using needles. Air flow on the machinery surface should be perfectly laminar, as this type of flow is able to remove non-vital particles from the surface. «Should we have a turbolent flow, stagnant air might remain in some zones, and contaminant particles could therefore adhere to the machine’s surfaces», explains the expert. Air is directed towards the incubation plates (55 or 90 mm diameter), so that microorganisms could adhere and replicate. The current regulatory framework calls for the identification of the specific microorganism. Plates are located at points identified as “critical” ones, i.e. door handles. 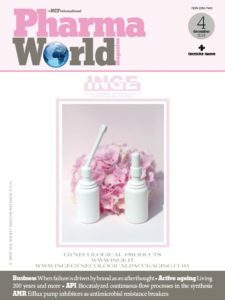 But this could not be enough to assure the efficacy of the global validation process, as explained by Gaetano Fiorentino, QA supervisor of Italfarmaco: «There might be still some problems with contamination, because the layout and the flow of materials and workers had not been studied in details». Another innovation coming from the revision of Annex 15 is quality risk management, an approach calling for the implementation of procedures of continuous improvement also in the field of validation. «Some companies are not yet ready for this. No matter of the type of process concerned, it’s necessary to constantly monitor the critical parameters by quality by design», says Fiorentino. The main risk factor within the sterile environment is man. It is, thus, important to pay great attention and validate all dressing materials and the procedure used by workers, as it could be subject to involuntary mistakes. Workers are monitored on five different points on the body (hands, feet, solar plexus and nearby the dressing’s closure system), as these are the more easily contaminated. Also the time workers spent inside the clean room needs attention, as if it is too long it could lead to fatigue and lower concentration. All modifications to operative procedures relevant to the clean room require new training of the work force. «We shall see in future different ways to address clean room validation. Isolators and mini-isolators should increasingly be used instead of the traditional clean room itself. This type of solution asks for robust initial validation», adds Gaetano Fiorentino. The isolation technologies are increasingly becoming important as per designing of the production facilities: the sealed boxes are accessible from the outside only using gloves points of access and all the internal operations are fully automatic. This allows for the possibility to maintain a stable sterile environment: after validation, the isolator is not opened anymore if not strictly necessary. «The building of an isolator requires to exactly plan the process from the beginning, taking in mind all the details, as it is difficult to change the layout afterwords. Once validated, it needs only annual round of revalidation», explains Fiorentino. The so called Rabs (restricted access barriers) are somehow mid way between isolators and the traditional clean room, as they are just physical barriers protecting the production machineries from contact with workers. Depending on the chosen layout- clean room, isolator or Rabs – the media fill validation step also changes. «All operations must be challenged twice a year in the case of the traditional clean room», adds the QA supervisor of Italfarmaco. Another innovation in sterility validation could be represented by continuous monitoring using rapid microbiology tests. The methods are under development as per sampling procedures, media used, sterility classes to which they may apply. The bioluminescence test is by now the more widely used and it allows for a rapid qualitative identification of microorganisms. Further analysis are then immediately put in place should a contamination be identified, in order to precisely identify and quantify the contaminant. This approach allows starting corrective action in a couple of days, while standard clear room methods need 7-15 days for quantitative analytical results. «Companies are trying to associate qualitative information available from rapid testing to colony number, that might represent a quantitative data. Some solution is already available in the field of eye drops production. Reagents are a little more expensive for this approach, but we benefit of shorter times for warehousing and product release», explains Fiorentino. Rapid detection methods, furthermore, do require use of the incubation media inside the clean room, thus eliminating one of the major risks of contamination. The possibility to adopt, in future, closed boxes containing the incubation media could help solving the issue about the opportunity to run sampling during production or during stops. Should a contamination take place, corrective actions, including deep cleaning and revalidation of the clean room, must be put in place. All steps, here too, need to be validated, as well as all the reagents used and the identification of the more suitable biocide to be used for the case under consideration. «Biocides validation must be run on microorganisms generated internally for research needs, as they usually are more resistant”, explains Andrea Pranti. Rotation of disinfectant agents and biocides have also to be planned in order to reduce the recurrence of resistance. Fumigation of the room, furthermore, allows reaching otherwise difficult to access corners. The future may deserve news also about the need of revalidation in the case a deviation should occur. 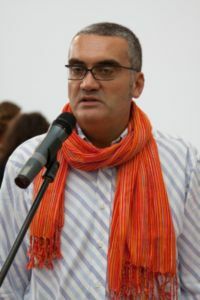 «It is the company’s responsibility to establish acceptable limits for the production process and to demonstrate its capacity to fulfil them», adds Pranti. Genetic and cellular therapies run at forefront of innovation in medicine, but validation methods in the field are still under development and improvement. 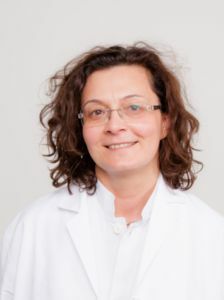 «Solutions used by the traditional pharma industry – says the qualified person of the Cell Therapy Unit of Cardiocentro Lugano, Lucia Turchetto – are often not suitable for our needs. We reach the same target using alternative strategies. Specific guidelines are now available, and this helps». Media fill validation is particularly important for advanced therapies, and protocol development is a critical step of the entire process, as explains Turchetto: «Our production times are highly variable. Many different productive processes might be active within the cell factory, each of one for few lots. Cellular culture may require up to five to seven weeks or even months. It’s impossible to run a media fill of the same duration, as well as running a different media fill for each product or process». The process is thus divided into different steps, according to a specific risk analysis, and each of one is separately validated. Similar operations might also be gathered up under a single media fill validation process. The stratification of bone marrow over a density gradient, for example, allows the separation of cellular subpopulations, a process similar for different types of productions. A single protocol, based on the most risky procedure, might be used for validation, explains Turchetto. For cellular cultures too, operative procedures are often similar independently from media or cell types used. 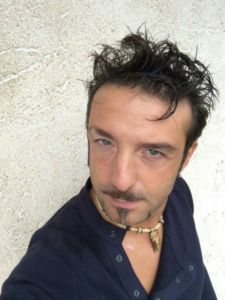 «The strategy for validation mimics the situation considered to be more critical, for example the use of a bigger container such as a cell factory, which is more difficult to handle that standard plates», says Turchetto. The same materials (vials, media, containers, etc.) are used for media fill validation and production, and all operations are exactly the same. The only difference between the two processes is that in media fill selected strains of bacteria are used instead of cells (as well as the relative growing media), in order to better identify critical points at risk of contamination. Incubation lasts 7-15 days, and is run also on all washing and otherwise waste liquids. «For a new process, media fill is run always three times, and results are made available to regulatory authorities in the submitted dossier. A media fill run is then repeated each six months for the entire life of production», adds the qualified person of Cardiocentro Lugano. The Swiss center is involved in several trials: mononuclear cells from bone marrow have been tested on ischemic patients; other trials will study the possibility to treat periferic arteropathies and acute myocardial failure. The labs in Lugano have been first validated as cell processing center by the sponsor company. «Validation involves initial training and inter-laboratory tests to assure reproducibility of the process among the different labs involved in the project. The European Medicine Agency authorised the study under a Voluntary harmonisation procedure; single authorisations from national authorities then followed», explains Turchetto. A critical issue in the validation of media fill for cellular therapies is the still insufficient availability of clinical grade reagents. Research grade products are often used, but «the risk is higher – says Turchetto -. We need to run a risk analysis». Furthermore, biological starting materials are highly uneven and cannot be standardised. Bone marrow quantity, for example, may vary according to the clinician that make the sampling from the patient; the quantity of fat present is also highly variable from patient to patient. This may greatly influence, for example, the number of filters needed to purify the bone marrow. The number of cells that can be used for quality control is also limited, as it must be assured a sufficient amount of cells for treatment. «A scaling down of the analysis or a limited set of validation essays might be necessary. Usually these are aspects that are discussed with the regulatory authority right from the beginning of the planning. Authorities are usually comprehensive, as they understand the intrinsic difficulty of the product», finally comments Turchetto. The European Commission released for public consultation in February 2014 a revision draft of Annex 15 to the GMP. The document asks for greater attention in process design, risk analysis, deviations management and product’s life cycle. Process validation should become possible not only through standard procedures, but also using the innovative “continuous monitoring” approach. Final approval of the renewed Annex 15 is wait during 2015.